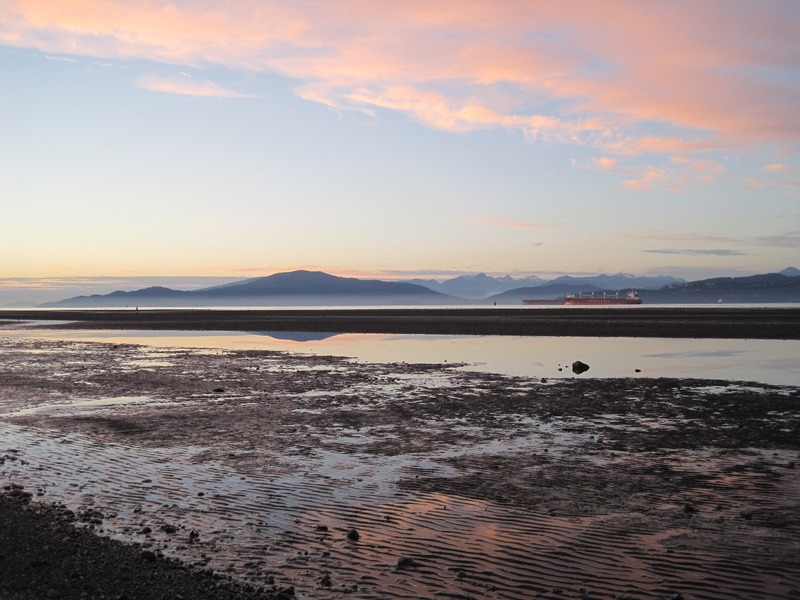 Looking northwest from Spanish Banks. I took the express bus toward UBC today, hoping to get off at the Jericho Park pond and watch some ducks. The express bus did not stop at the pond, so I headed to Spanish Banks instead. The sun had just set when I arrived, but I did get to watch the changing colors of the sky until it turned black. It was quite a show! The tide was out and I wandered onto the muddy sand flats.